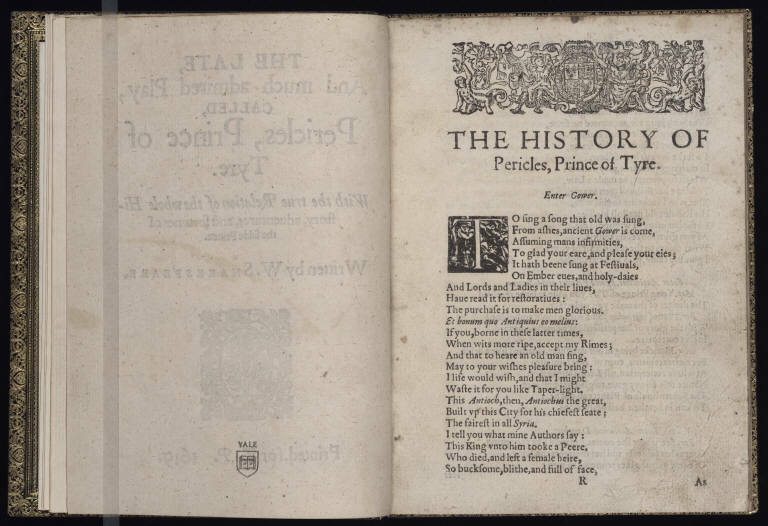 Curiously, this edition bears what would seem to be a genuine publication date–1619–rather than the fabricated earlier date of 1600 that has adorned other Pavier Quartos featured so far. Is there anything else about this edition that strikes you as remarkable in any way? Why might this be? 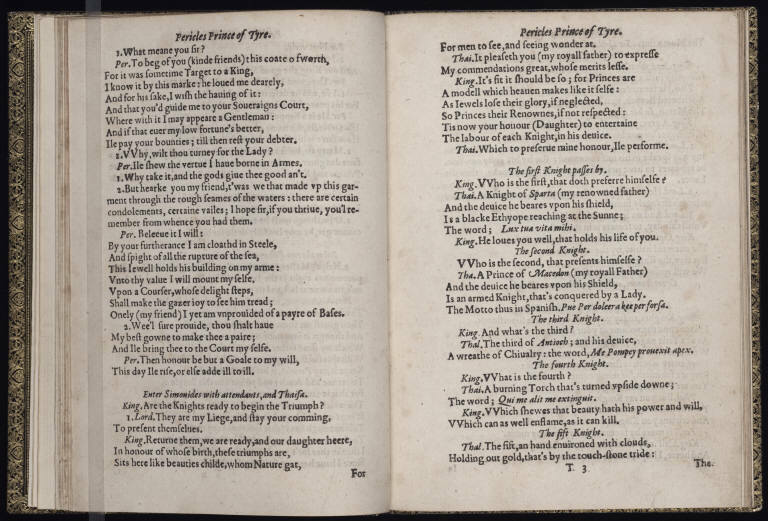 The pagination, technically referred to as a “signature,” is so deliberate that it stands as evidence of a much different story than what the quarto, if taken to be a stand-alone document, might tell us. 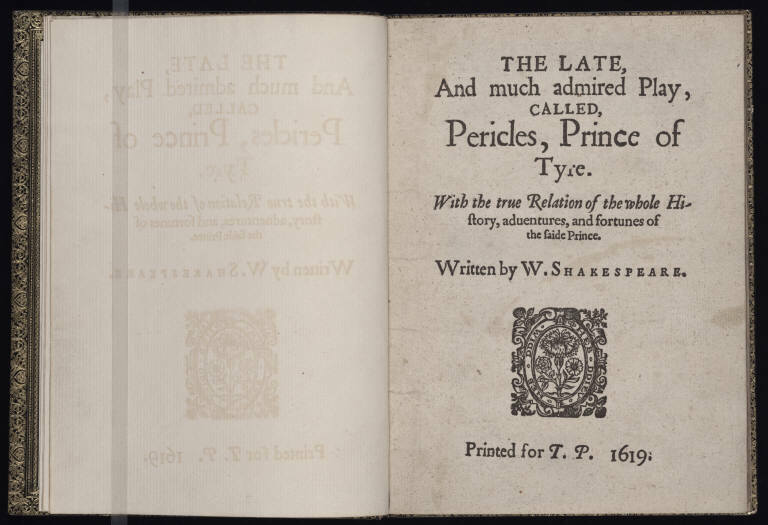 Rather, in those “R’s” and “S’s” linger the original, collective aspirations of Thomas Pavier and William Jaggard, who had taken pains to arrange for Pericles to come, in their planned compilation of Shakespeare’s works, well after several other plays. 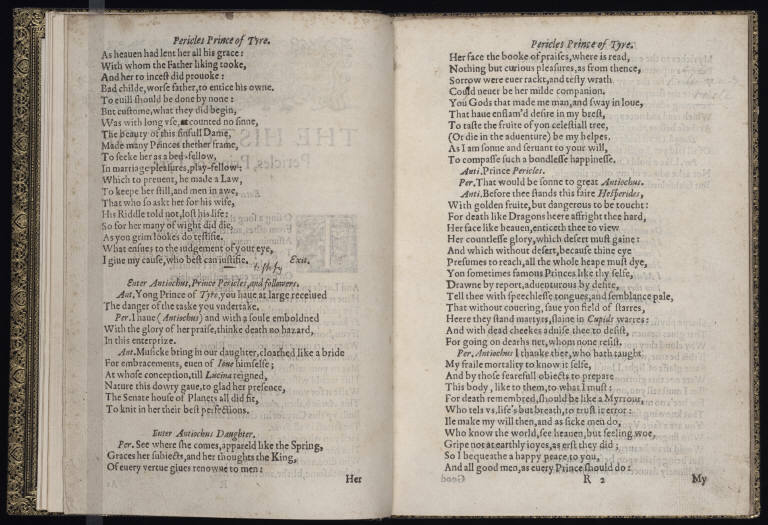 But in their rush to get Pericles and several other plays to print in stand-alone form, Jaggard and Pavier most likely neglected to alter the signature of the late romance. 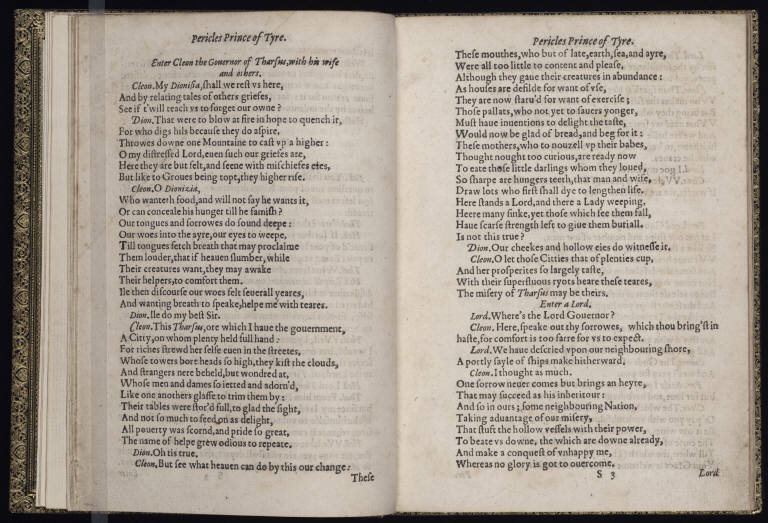 To us, neglecting to re-paginate Shakespeare’s play might strike us as unthinkable, even sloppy, but without such a momentary lapse, we would lose a crucial piece of evidence of the Pavier collection–and with it, the story of the first messy effort to bring Shakespeare’s plays together in an authoritative printed collection. And in a few days, we’ll get to see just which plays it was that Pericles was meant to come after. This entry was posted in Uncategorized by Matt Hunter. Bookmark the permalink.